Microsoft's scheduled announcement this afternoon has caused quite a bit of buzz, and everyone with a keyboard and half a brain seems to have some idea of what the company's got in store. One of the most popular rumors claims that Microsoft will announce a new Barnes & Noble tablet. 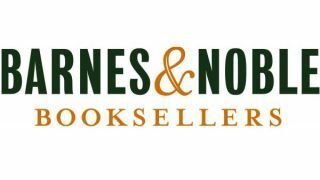 That rumor has now been shot down by Barnes & Noble representatives. Financial site Benzinga was the first to receive a response from the bookseller, tweeting "BKS Spokesperson Confirms they are Not Part of Today's $MSFT Tablet Announcement." The Verge followed up and received a similar response, a Barnes & Noble spokesperson reportedly telling them "we are not part of their announcement." Microsoft was rumored to be preparing the Barnes & Noble tablet to compete with the Amazon Kindle Fire and a rumored 7-inch Google Nexus tablet. It was said that it would relate to an April announcement of a strategic partnership between Microsoft and Barnes & Noble known as "Newco," which was designed to "accelerate e-reading innovation" on Windows devices. So what's today's announcement all about? Even ruling out Barnes & Noble's involvement in today's Microsoft announcement, there are still plenty of possibilities. Many agree that, with or without Barnes & Noble's involvement, Microsoft will announce a new Windows tablet today. The new tablet could be meant to compete directly with the iPad or with the Kindle Fire, though sources remain divided on which. And the new Microsoft tablet could feature Xbox Live streaming or other gaming functionality. Other speculation suggests that Microsoft could announce the successor to their Xbox 360 video game console - the Xbox 720 - which has shown few signs of slowing down despite its six-year lifespan. A new Xbox announcement outside of major gaming trade shows like E3 would be considered unusual, but Microsoft could ensure the Xbox 720 makes a splash with a standalone announcement. Check back this afternoon for TechRadar's coverage of Microsoft's announcement.